Juliette is a positive psychology coach who helps people create a meaningful life and career they love. -Learn scientifically proven strategies to build your happiness levels from the inside out. -Get 100% clear on what your hidden strengths are. -Understand what your true purpose is. -Design the dream life, career or new business you've always wanted. -Overcome your fears and feel more confident in what you have to offer the world. -Learn to manage your time and reduce stress, so that you feel more organised, focused and productive. -Finally stop dreaming about ‘one day’ and start taking action. Juliette is a graduate of the Pure Coaching Academy, run by one of the UK's most successful life coaches Carole Ann Rice, and an accredited coach with the IAPC&M. She has also studied Positive Psychology, known as 'the science of happiness', with two of the field's leading experts, Miriam Akhtar and Dr Chris Johnstone. 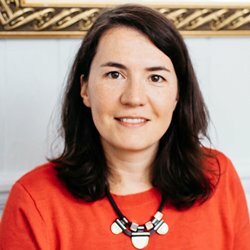 The tools and practices that are taught as part of this rapidly growing area of psychology, have made a huge difference to Juliette's own happiness, wellbeing and quality of life, and now she loves to blend these tools into her coaching sessions so that her clients can feel the benefits too. "I wanted to thank you again for the life coaching sessions and can honestly say they totally turned my life around. I'm so glad to have met you at the time I did, your sessions gave me my confidence back and put me on the right path. I was miserable and at a crossroads in a job I hated when I first sought you out. I was stuck in a rut and couldn't see a way out. Your guidance helped me to put things in perspective and gave me the much needed boost to sort myself out. Juliette works with clients across the UK via Skype or on the phone, and can offer face to face sessions in Brighton. Get in touch for a free, no obligation 15min Clarity Call to learn more about how coaching can help you discover your hidden strengths, dust off your forgotten dreams and realise your potential! CONTACT Juliette to arrange a free Clarity Call.